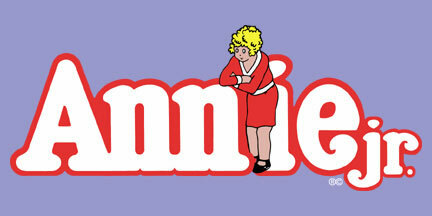 The Patel Conservatory Youth Theater&apos;s presentation of Annie, Jr. will take place in late May. Students will perform this beloved musical about the spunky, Depression-era orphan determined to find her parents, on May 27 through 29 in the TECO Theater at the Straz Center. Directed by Crystal Haralambou, these 28 students in grades three through eight will perform favorite songs, including "It&apos;s the Hard-Knock Life," "Easy Street" and the ever-optimistic "Tomorrow." Tickets are $8 in advance and $10 the day of the show. Purchase tickets by calling 813.229.7827, in person at the Straz Center Ticket Office or online at www.strazcenter.org. In addition, as part of the non-profit David A. Straz, Jr. Center for the Performing Arts, the Patel COnservatory offers summer camps and classes for children and adults of all experience levels in all kinds of dance, music and theater. More information is available by calling 813.222.1002 or by visiting www.patelconservatory.org. Check back soon for more Tampa Bay area events and more ideas on things to do in Tampa Bay!